I prefer to use PayPal as it’s secure, fast, and accepts all major credit cards. If you would rather pay by bank transfer, I can provide IBAN and BIC for within Europe. All prices include VAT/TAX/MwSt at the Austrian rate 20%. If you would like the canvas varnished to protected it, please add +8% to the selected canvas price. Cost for stretching the canvas on 40 mm wooden bar, please add +20% to the selected canvas price. 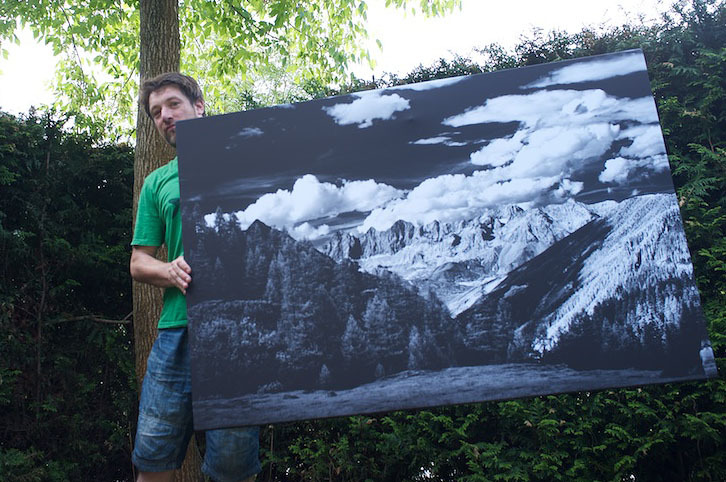 Due to the size of the stretched canvases a shipping charge of Eur. 40 will be required. Please note: For unstretched canvases shipping is included in the selected canvas price. If you not happy with the image you are free to return the print within one year to me along as the image is not damaged and intact. A full refund excluding the shipping costs will be given. Furthermore each giclée print and canvas is guarantee not to fade for a lifetime.